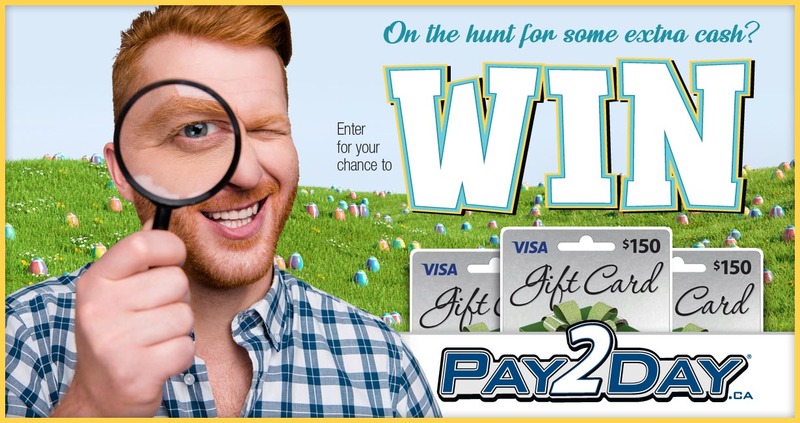 Enter for a chance to win a $150 prepaid VISA gift card from PAY2DAY! This promotion is managed by PAY2DAY Inc.. Participation in this promotion is subject to the official rules.